related violations, such as $25,000/day for illegal dumping. “The bill would require that 60 percent of the weight of all construction and demolition waste be reused or recycled,” Pacific Business News reports. 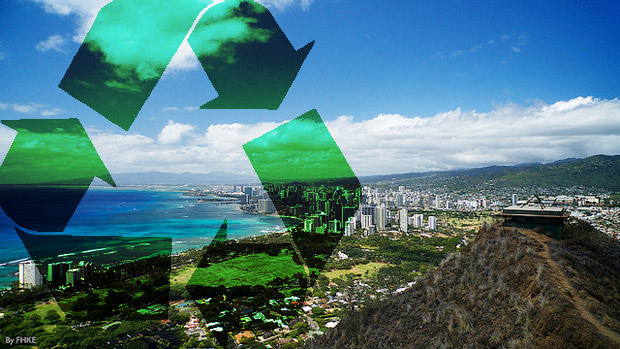 “The material would include concrete, rock, brick, wood, mansonry, roofing, plaster, steel, and other metals, such as copper.” Hawaii has even gone so far as to require contractors to prove its recycling by showing receipts from the recycling facility used. Investments in sustainable technology are projected to drastically increase in the coming years, which may be influencing the promoters of the bill to keep trying. The bill died previously, but locals are optimistic this time around. As LEED and other sustainable jargon is picking up steam in Hawaii, the promoters of the bill, including Re-use Hawaii, are hopeful.